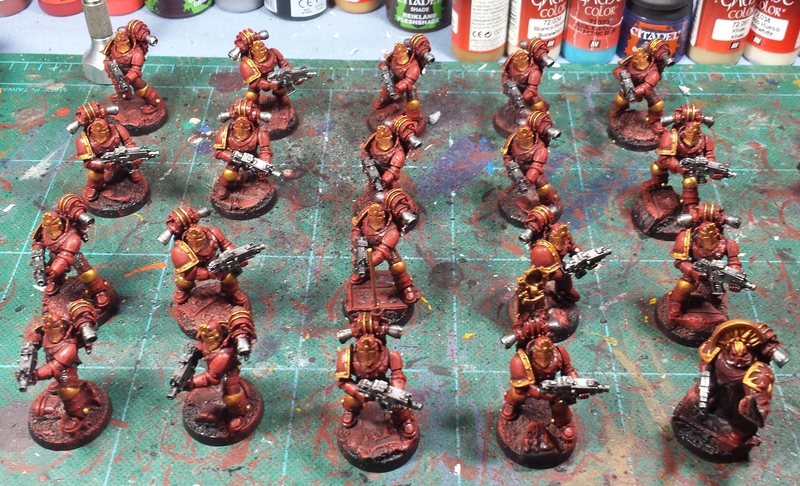 Mordian 7th Regiment: Heresy Era Thousand Sons - Sergeants reporting! 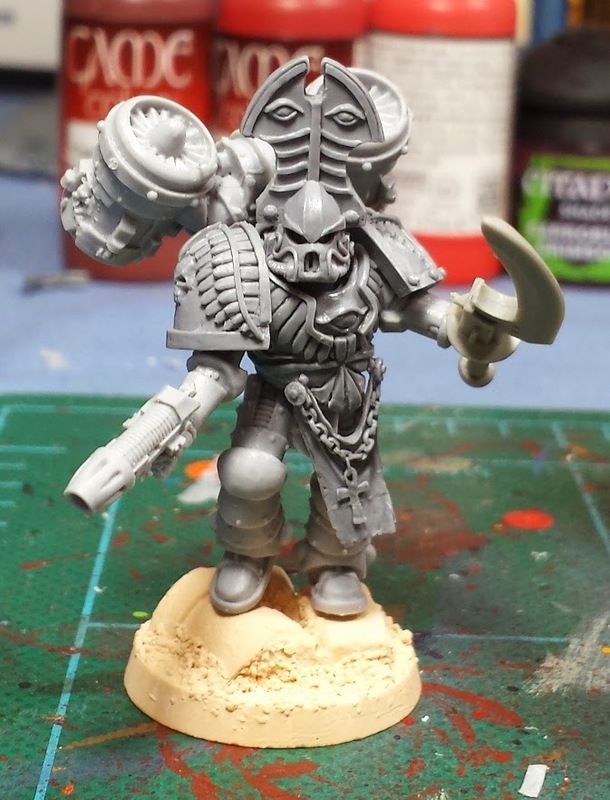 Sergeant Mekata gets a suit of artificer armour, a plasma pistol and a power weapon. Very happy with how he's coming along, and as soon as he's complete the assault squad will be done! 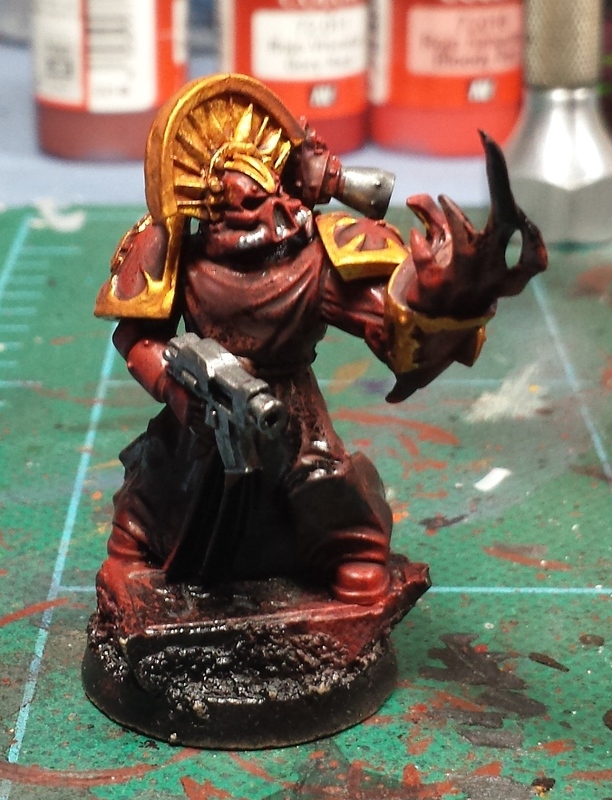 Sergeant Hesyre is a redux of his previous incarnation - I tried to get the pose to show that he's looking on in horror as the flesh change begins to overtake him. 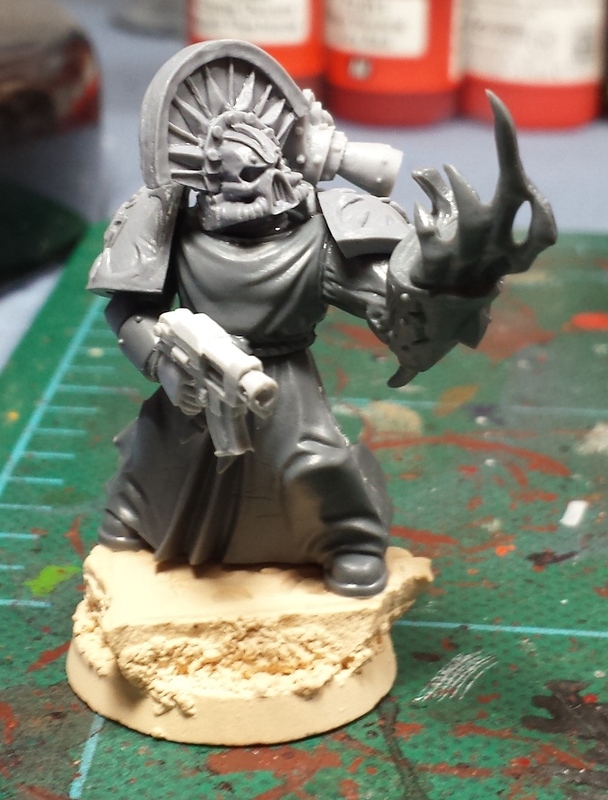 This is carried through onto his shoulder pads which are also starting to get a little spikey! Over the last few mornings I've been getting up early (to take advantage of the cooler temperatures) and managed to get the base colors laid in on the tactical squad, and I spent a little time today bringing the two sergeants up to the same level - hoping I can finish them all off in one big push this weekend! Agreed with CJ - nailed that post mate. Are those bits from a certain defunked Russian eBay account? I think I have some of the same stuck to a squad of Chaos Marines and Terminators sat somewhere on the shelves of doom. I think this time you have nailed the red/gold perfectly - top stuff. 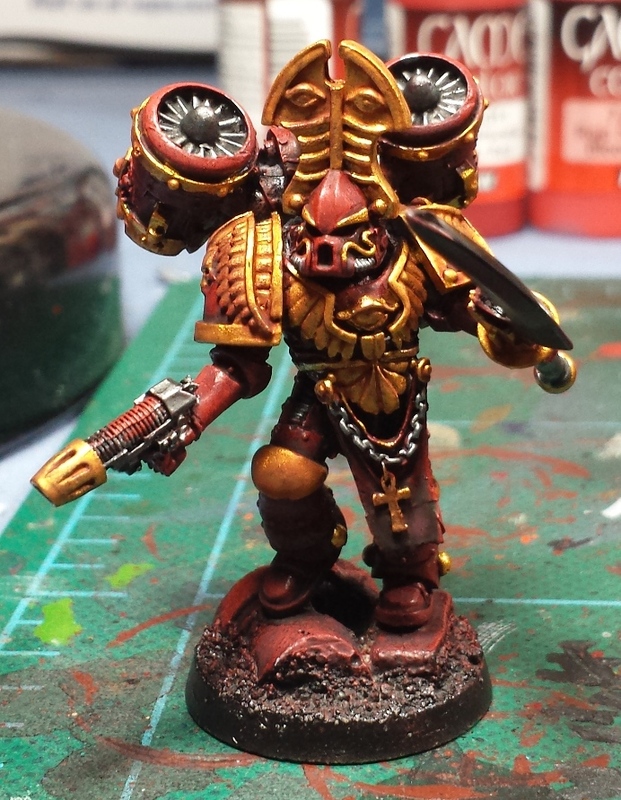 Love the work on the sergeants! Mekata's posing is flawless, and the detailing on his armour is just great! And Hesyre provides such a nice bit of visual storytelling -- great job! Sweet minis! Looking forward to seeing them done! @Frothing Muppet: Thanks mate! Aye, they're from an old ebay seller I've purchased from in the past who's renamed it seems. @KrautScientist: Thanks very much, man! @Zab: I appreciate the kind words, man! @17yearoldhobbyist: Thanks! Completed pics to follow soon! These guys look great! Are you doing the bases in a slightly different color? (Figure it's still a WIP). A color other then the same as the armor's red would help bring some contrast. Shame you couldn't shave off that mold line on the plasma pistol mate. Frikken love that 1st model. @Greg Hess: Thanks! Oh yes, that's just overslop on the bases, they'll end up a sort of whitish stone and mud in the end!